A successful business today means one that can analyze data promptly, respond to customer needs in real time and deal with challenges of turbulent market environment right away. That’s where ERP Software comes in. The solution provides the best technology so organizations can improve existing flows, spot and pursue new business opportunities, and stay ahead of competition. 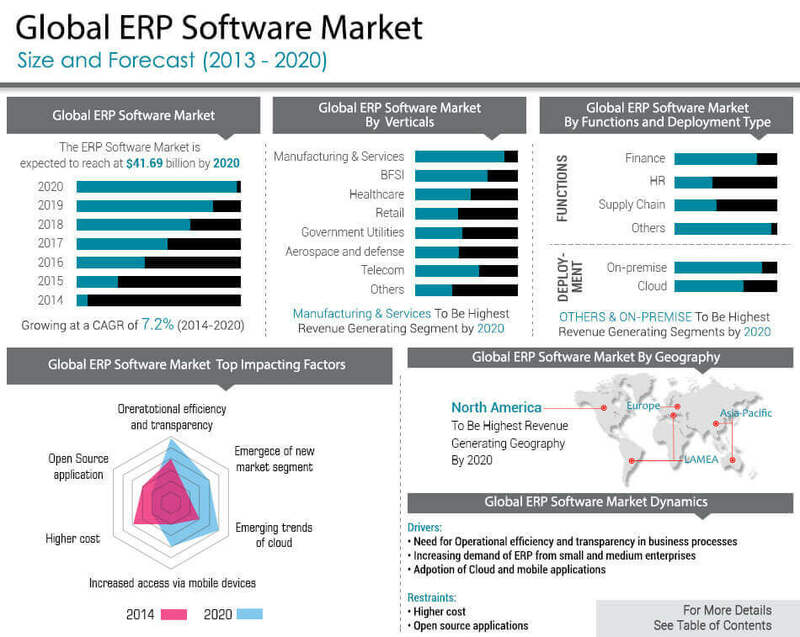 According to AlliedMarketreSearch , the Global ERP Software Market is expected to garner $41.69 billion by 2020, registering a CAGR of 7.2% during the forecast period 2014 – 2020. Competitive Intelligence on prominent manufacturers of ERP software provide key insights in terms of strategies implemented to gain significant share in the ERP software market. Some of the leading manufacturers profiled in this report includes Oracle, IBM Corp., Microsoft Corp., SAP, Infor, Sage, Netsuite Inc., Totvs, Unit4 and SYSPRO among others. Companies invest time, effort, and money in being unique and standing out from their competition. No two companies are the same, so cookie solutions aren’t always the best choice for highlighting a company’s uniqueness. Similarly, if a “recommended” solution is difficult to integrate or configure, the solution could cause more problems in the end. This is not the case with Microsoft Dynamics 365. Known for its ease of use, easy integration, and flexible features, Dynamics 365 can help your business achieve its desired goals and simplify business operations.